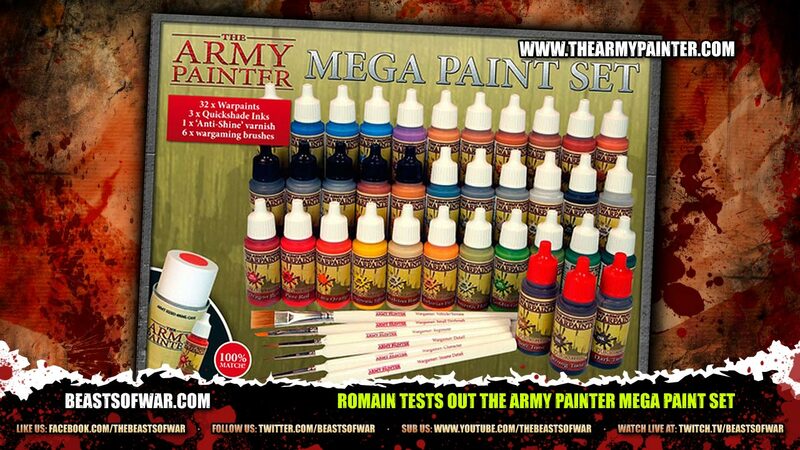 Romain puts the Army Painter Mega Paint Set through its paces. 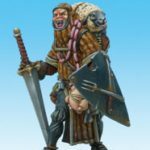 Check out what he has to say about this new full sized release. Are the shades the same as in the big dip pots or other ones. I ask, because the Quickshades in the pots ruin the brushes quickly, they are oil based. The shades are the same, and they are not oil based… They never were. they are, however, a very thick surfactant mix of water-based acrylic, and they will ruin brushes quickly if one lets the “paint” saturate the brush too much. Thanks for the information on the shades. If they are water based acrylics than they are not the same as the original Quickshade. On my pot is written as first ingredient Naphtha(petroleum) and other yukky stuff. I stand corrected… The pots of quickshade are indeed oil based, but the drop bottles in the set can be diluted with water. they are in essence similar to inks, only matte, and more surfactant. I won’t come back on what I’ve said here, but I must say that after more ample testing, the Pure Red and Daemonic Yellow are far too thin for basecoating. They’re pretty much all right for highlighting, though. @elromanozo is there any particular reason why the switch from the usual wet pallete to a non wet pallete when using these paints? I didn’t need the paint to stay wet for a long time, I was only going to use it for a short while to show you guys what the flow and coverage were. Apart from that, no reason ! Thanks a lot for that very complete review 🙂 i’m now very interested in buying it. I feel it is a treat to review new and exclusive products, and always a privilege to be able to use them. I did successfully (well, you’ll be the judge, but I think it was all right) use this set in the latest “season” of tutorials. I hope you enjoy them ! I’d be interested to see how that anti shine varnish comes out. I like the way the spray paints match as well, certainly some food for thought. Take that for sure, that is their main goal in their products, so don’t worry about it. I did, and it does match. Don’t worry about it ! I must admit that before you did this review I would have passed on them. Now that I know the range is at least as good as Vallejo I might take a closer look. 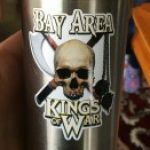 The two brands are quite different… There are things I like about Vallejo much more han Warpaints, such as the coverage of certain colors, the variety of tones, the inks, the Air range… The flow is different, you really have to dilute Vallejo paints, but I happen to like that. Solid review Romain. Well done. Thanks Romain; I’ve been thinking about a pretty substantial switch from GW/PP to AP when I can get my hands on this, and you’ve settled my decision for me! This set offers you a great base that you can complete with one or two tones from other brands here and there. There’s a goblin green and an Army green that are somewhat close to traitor green in the AP range, and I really like the Necrotic Flesh, but you will definitely have to complete your collection with p3 if you need exact matches. Get traitor green if you want, get khador red base and get a good yellow, as well as a few select specific colors you like and can’t find anywhere else (Greatcoat grey, coal black, that sort of thing)… Do the same with Vallejo if you need to… But the AP range should provide you with everything but the most specific or eccentric of colors ! Thanks for your kind words everyone ! Thankyou very much for this, very useful indeed. I don’t consider myself a very good painter, and it looks like these paints and the dips are a good choice to go with. I abandoned GW paints after you recomended Vallejo, but I only really replaced the GW ones with the equivilent colours – this looks like a solid base to go with. Roman, then I ask you a quick question? What paint do you prefer personally use? Or that you are using already present (I must admit I do not see the brand for your videos)? You have the right to blame me if my question is off topic but I really want to know! There are one or two brands that I don’t use, but that’s only because I haven’t got any of their pots at the moment. There are good things about most brands ! As of now (but this may vary greatly), I mainly use P3, because I like the thickness. They have replaced my oldest Vallejo pots that were getting a bit crusty… But I’ve kept a lot of salvageable Vallejo, because I like the range. I’ve also got a few Coat D’Arms tones, because they’re flowy and vivid, and sometimes, that’s what’s called for, but the Army Painter range serves that purpose just as well. I used to have Tamiya as well, and they’re quite good. I use both the Vallejo “model Air” range and the Army Painter range for metals, now. As for my favorite colors of all, I have a soft spot for Hull Red, Jade Green, Periscopes, Ivory and “fluo” colors (Vallejo) and Greatcoat Grey, Trollblood highlight, Blighted gold and Cryx Bane Base (P3), but I really like Smoke (Tamiya, accept no substitutes) and some of the Secret Weapon washes… But the list varies with my mood, really ! If I had an advice to give you, it would be : Pick what’s best and what works for you, do with what’s at hand… You’re not married to any brand, and they’re can all be mixed on the same mini. I just got back to painting my stuff. I got a core set of paints to start. (black, white, off-white, yellow, red, blue, green, brown and grey). 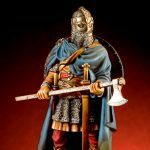 I am interested in the quick shade as my primary goal is to have tabletop ready armies. 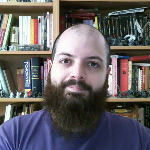 Can you do a review of the varnish? I think the inks in this set will work similarly, but not produce the same level of protection (for frequent game play). The inks and/or quickshade won’t protect your miniatures from gaming hazards… Not in any significant way, anyway. You should purchase a spray can of matte varnish, it works fine, and you won’t have to apply it with a brush ! Varnish in a pot or bottle is good for collectors, not armies. Great review. I will give them a try. I really like the Vallejo line. I hear GW is changing their line again. I hope they go to eyedropper bottles. They are the best. 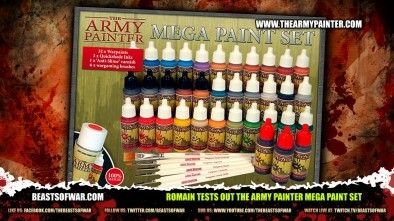 I just ordered this set and was curious if anyone has tried using these with their airbrush?